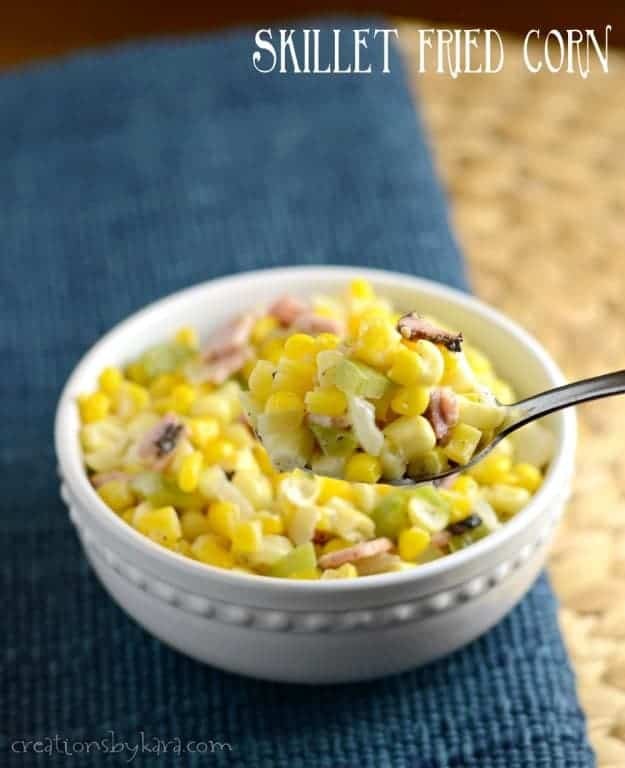 Skillet Fried Corn – loaded with ham, onions, and peppers, this corn is bursting with flavor, and makes a perfect side dish to just about any meal! My kids are pretty good about eating most vegetables, but corn is definitely their favorite. My five year old will even get it out of the freezer and eat it frozen! When my friend gave me a recipe for skillet corn, I just knew I had to try it. Well it probably goes without saying that this skillet fried corn was a BIG hit at my house! 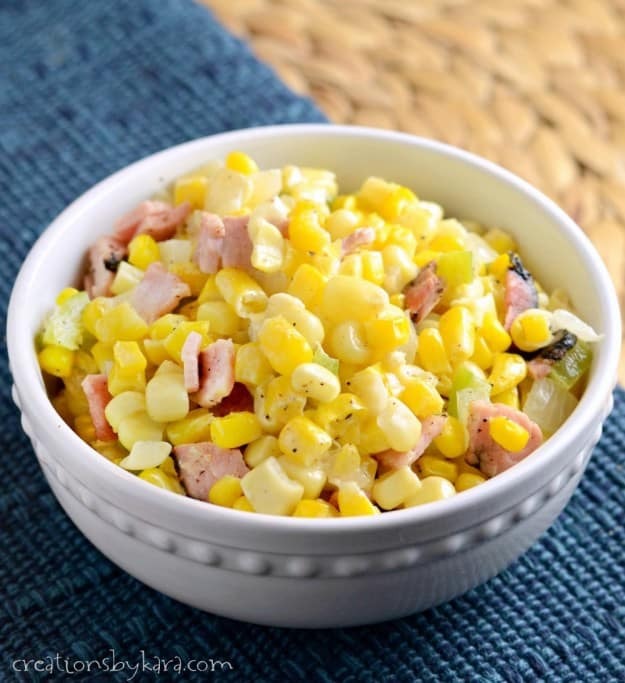 The sweetness of the corn and the saltiness of the ham are a perfect compliment to each other. And the veggies make it so flavorful! This is of course best with fresh corn, but frozen is fabulous as well. It would be perfect to take to a potluck or BBQ. Who doesn’t love corn? This recipe is super simple, and only takes a few minutes to make. If you happen to have any leftovers, they are great the next day. Definitely a new family favorite recipe! 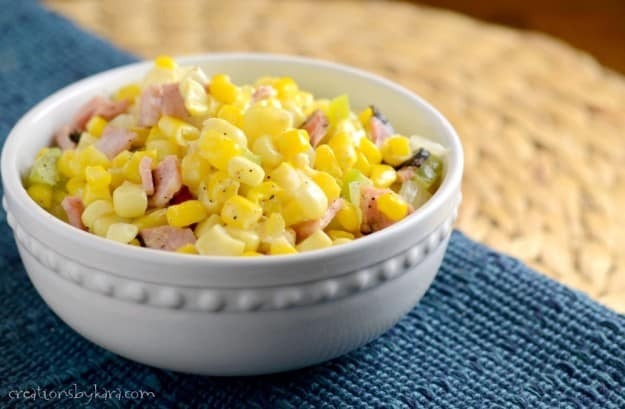 Skillet fried corn with onions, ham, and green peppers. Saute onion and green pepper in a large skillet over medium heat for about five minutes, or till crisp tender. Stir in ham and corn and heat through. Stir in cream, then add pepper and salt to taste. Heat through but don't boil. 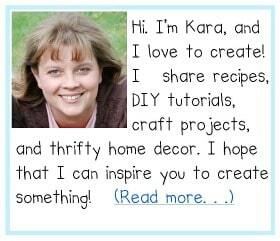 To see all my side dish recipes, click HERE.